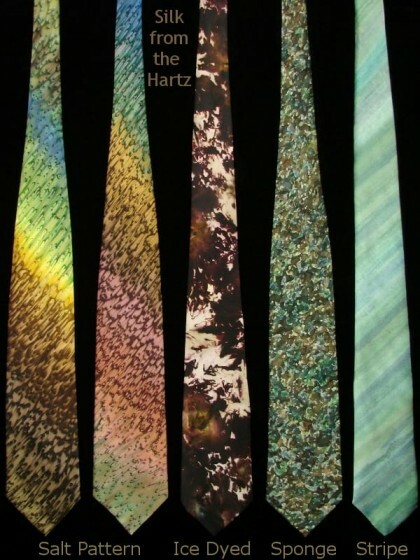 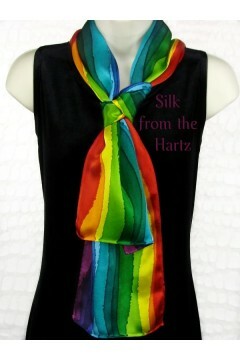 Hand painted by the artist in a unique and elegant stripe design on an 8" x 54" silk satin scarf. 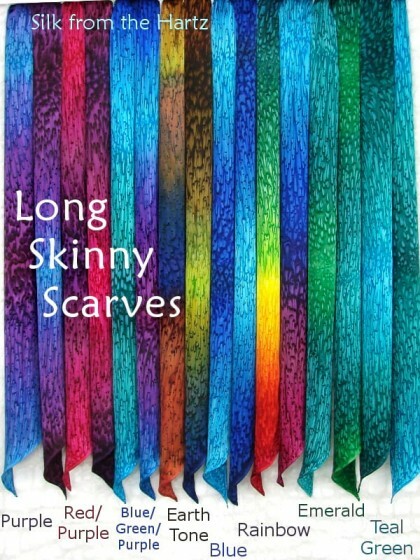 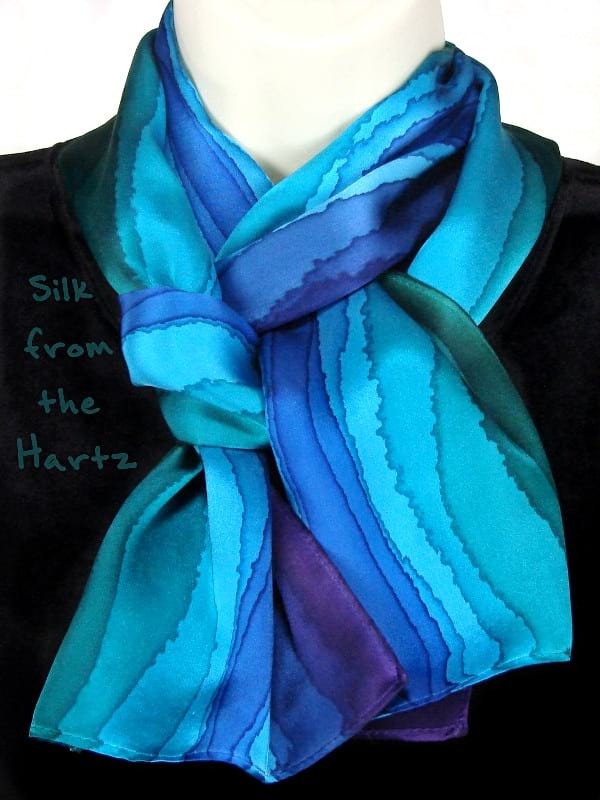 Wonderfully soft, in Jewel Tones of blue, green and purple, Rainbow colors, or Earth Tones of browns, greens denim and peach. 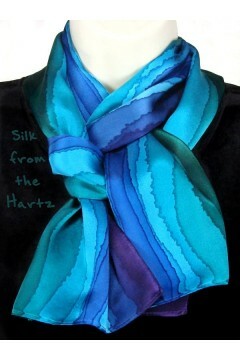 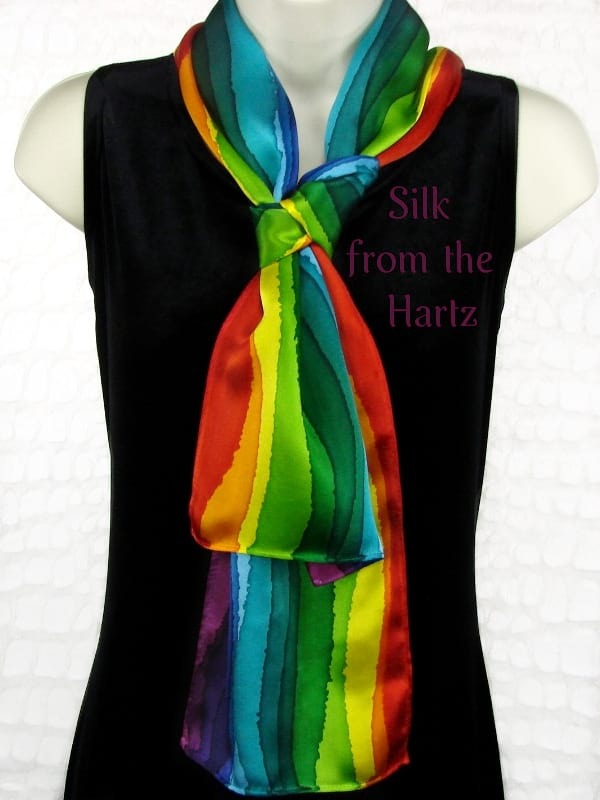 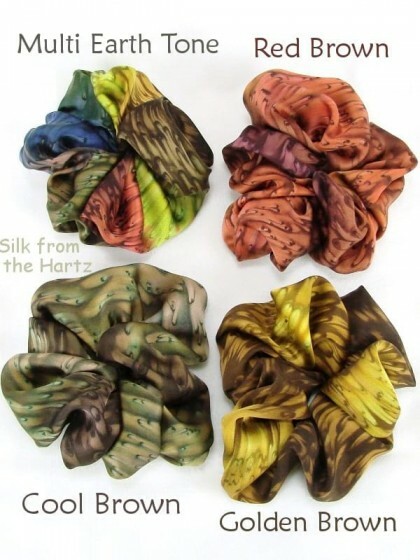 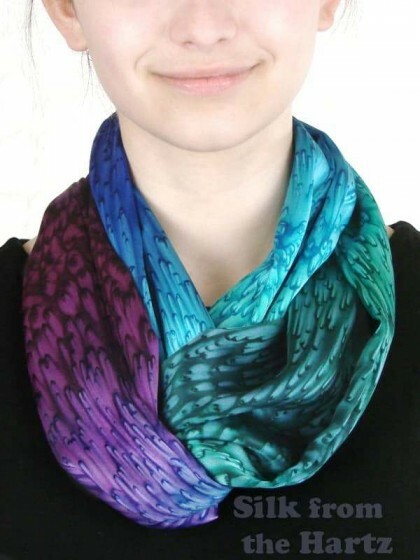 Indulge in the luxury of a soft silk satin scarf hand dyed with beautiful rich colors. 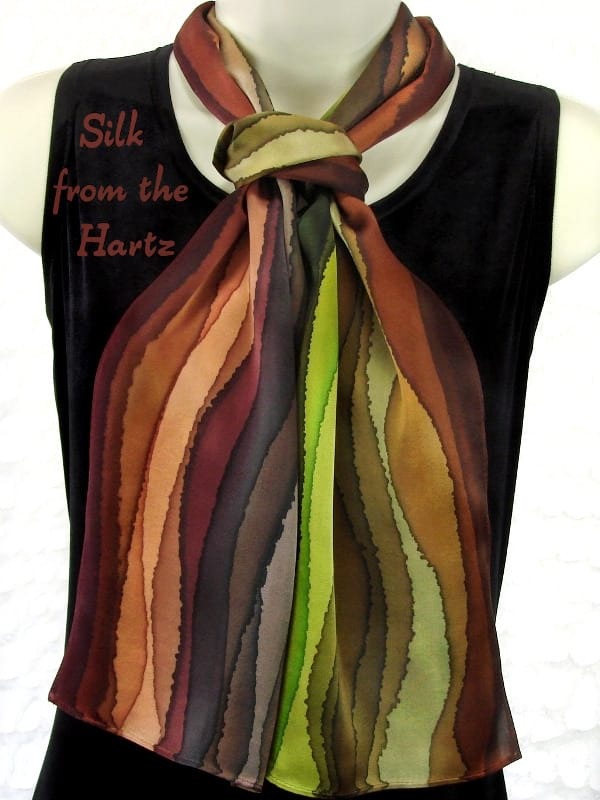 Truly a unique gift for women who enjoy stylish fashion. 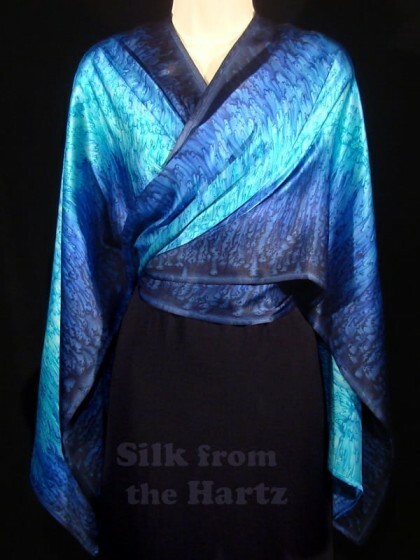 Elegant Gift for Women: Savor the rich beautiful blue, purple and green jewel tone colors hand dyed on this infi.. 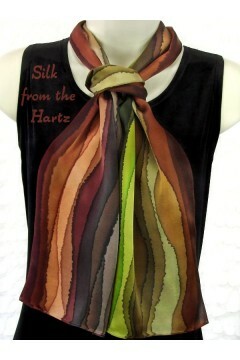 Unique Hand Painted Designs Creative neutral earth tone silk ties in browns and greens that go with many differe..